Texas Brisket | This post was sponsored by Pompeian. All opinions expressed on my site are my own. If there is something Texas is known for its beef barbecue. Especially slow cooked pit fire barbecue brisket. I myself am a pork girl. 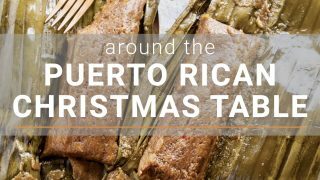 I grew up in a Puerto Rican home and our go-to protein is pork. It wasn’t until we moved to Texas that I grew an appreciation for beef barbecue. Before moving to Texas my experience with beef barbecue was minimal and to be honest it was usually dry. The first time I had true Texas barbecue was in Lockhart, TX at Black’s BBQ. It was my first experience with the most tender delicious brisket I had ever tried. It was basically meat butter. Just thinking about it makes my mouth water. Of course, you know that Texas shares it’s border with our southern neighbors Mexico and also shares much of its history with Mexico. 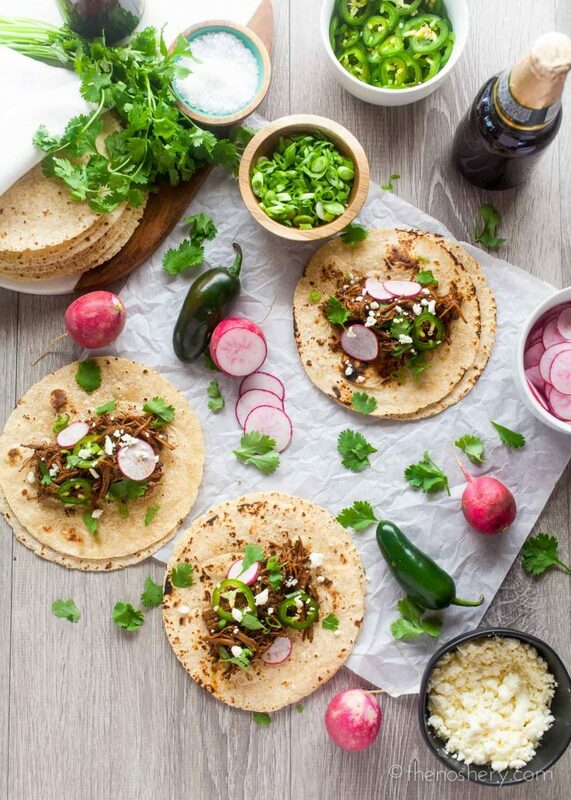 Because of this some of the flavors of Mexico have made its way into Texas cuisine. The end product is the much beloved Texas Tex-Mex. 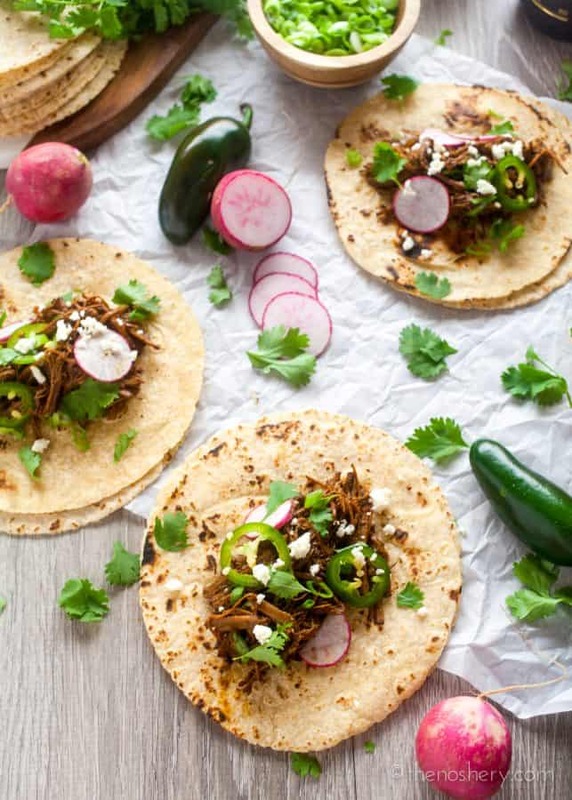 Much of Texas barbecue will feature flavors and spices that you also find in Mexican cuisine. Spices like chili powder, cumin, coriander, and Mexican oregano. These spices are then combined with more American flavors like molasses, brown sugar, and paprika. The result is a savory, slightly sweet, and spicy combination that has become synonymous with Texas barbecue. 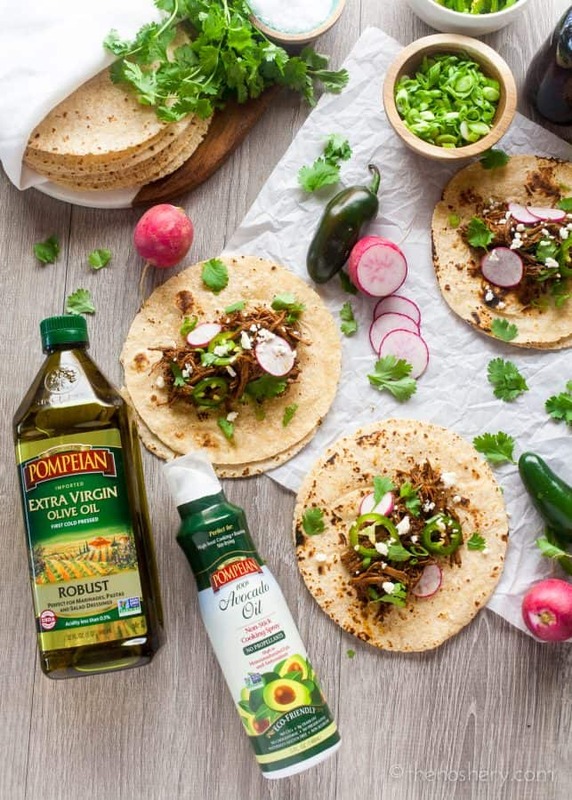 Pompeian Robust Extra Virgin Olive Oil has a full-bodied flavor with fruity notes making it ideal for beef marinades. This extra virgin olive oil is extremely low in acidity, yet has a spicy and bitter character. Which I believe balances out the sweet and spicy rub blend. In preparation of braising I always sear my protien first. Searing adds smokey caramelized notes that add depth to any dish. I seared the brisket using Pompeian Avocado Oil Cooking Spray. I am loving there new line of cooking sprays. 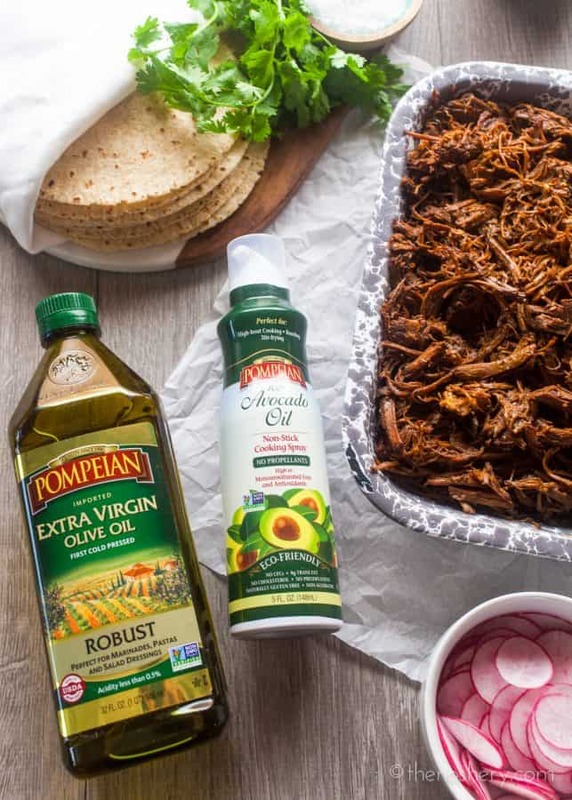 Pompeian Avocado Oil Cooking Spray is perfect for searing, roasting, stir-fry, baking, BBQ or broiling because of its high smoke point. This spray offers similar health benefits to olive oil with a mild nutty flavor profile. Pompeian cooking sprays use a pouch system without the use of propellants or other artificial additives, so the oil is never mixed with chemicals and no drop is wasted. The unique spray can and pouch system also help to protect the oil from sunlight and oxygen, keeping the product fresher for longer. Of course, we don’t all have a fire pit or smoker in our backyard. So, today I am going to do the next best thing and make slow cooker Texas brisket. 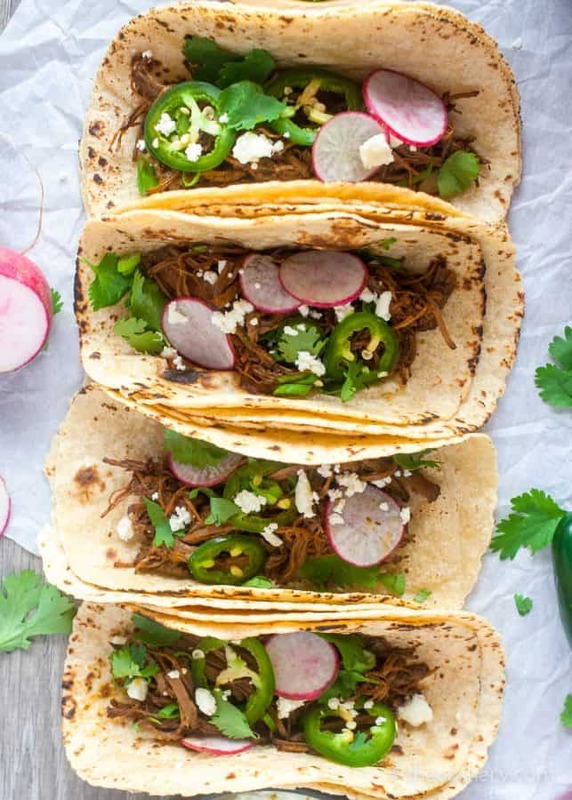 It’s not the same as smoky fire barbecue but it’s just as delicious and best of all it’s easy enough for a weeknight dinner. I make this Texas brisket on Sunday’s to enjoy throughout the week. This is a great and easy weeknight dinner option. The brisket can be enjoyed on its own with some sides, in tacos, or even topped on some scrambled eggs. 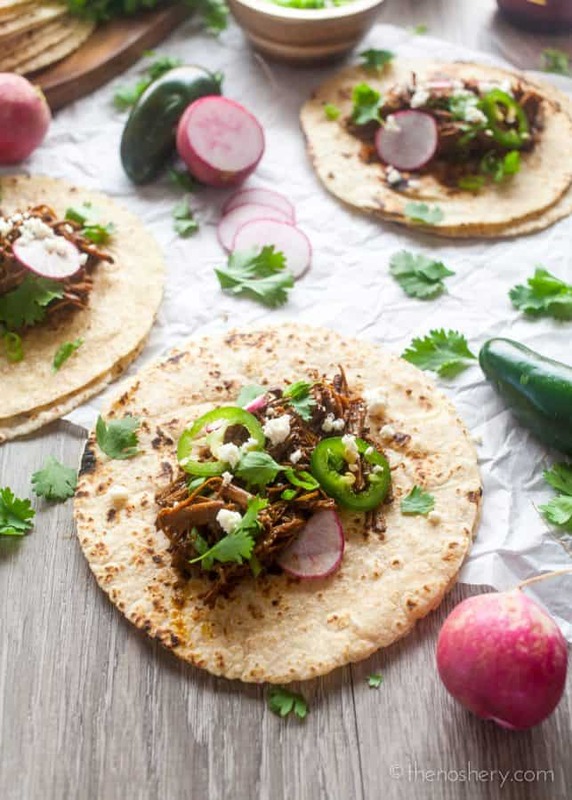 Craving more Tex-Mex inspired flavors? Try my Freezer Breakfast Burritos with Turkey Chorizo and Sweet Potatoes, Spicy Chorizo Burger with Pimento Cheese, or Walking Tacos with Chorizo and Tangy Slaw. What are some of your favorite easy dinner recipes? But don’t just tell me about them. Show me and Pompeian how you are experimenting with the latest food trends on Instagram. To share your latest on-trend creations using Pompeian, tag your photos with #TrendingintheKitchen. If you looking for inspiration or for tips on how to trend in the kitchen, visit Instagram.com/Pompeian. 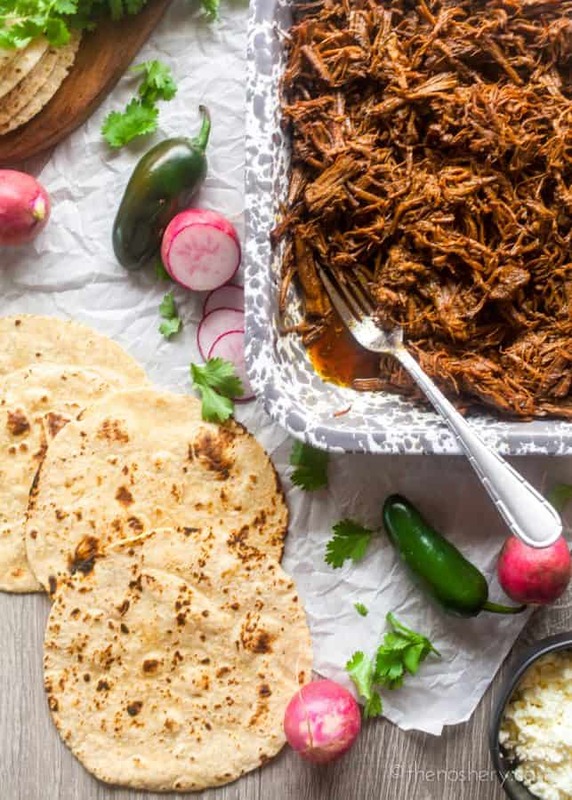 The brisket can be enjoyed on its own with some sides, in tacos, or even topped on some scrambled eggs. Combine spices, molasses, brown sugar, and Pompeian Robust Extra Virgin Olive Oil in a small bowl. Mix until well combined, a crumbly paste will form. Rub the spice mixture over the brisket until evenly covered. 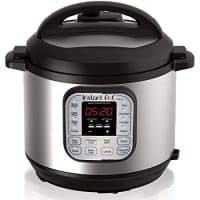 Set electric pressure cooker to sear. Spay with Pompeian Avocado Oil Cooking Spray. Sear the brisket for 4 minutes on each side. Squeeze the juice of 1 lime over brisket. Add chipotle pepper and beer. Cover and set the brisket to 1 hour. Allow the pressure to release naturally. Uncover and set the pressure cooker to sear. Let simmer uncovered for 20 minutes. Serve immediately or let cool and store in air-tight food storage in the refrigerator to enjoy throughout the week. This looks to die for! Once my fiancé gets back from his work trip I’m going to surprise him with this! Yum yum yum!